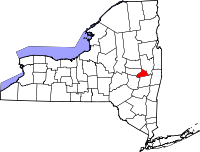 ^ Quickfacts.census.gov - Schenectady County - accessed 2011-12-06. ^ Quickfacts.census.gov - Schenectady, New York - accessed 2011-12-06. ^ American FactFinder. Factfinder2.census.gov. Retrieved on 2013-08-16. ^ University of Virginia Library. Mapserver.lib.virginia.edu. Retrieved on 2013-08-16.